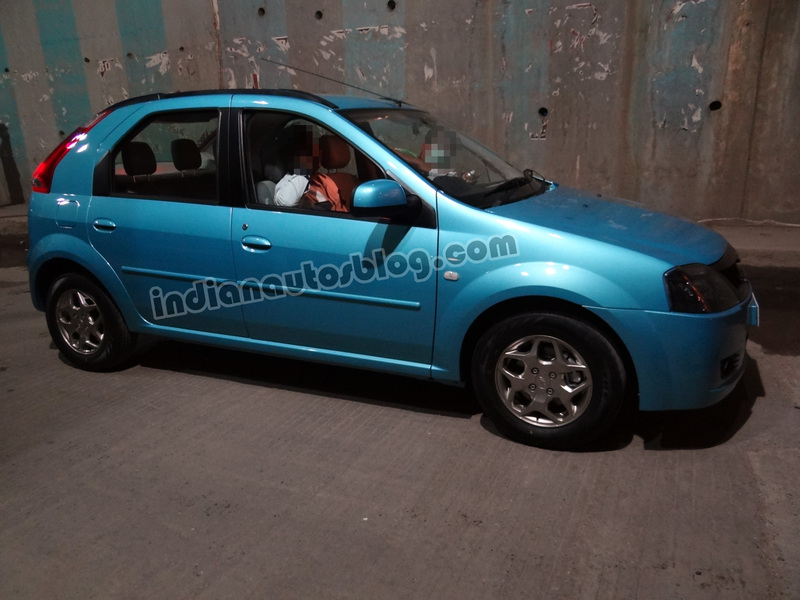 The Mahindra Verito Vibe, the sub four metre version of the Verito, will be in town day after tomorrow. Mahindra has teased the silhouette of the Verito Vibe. 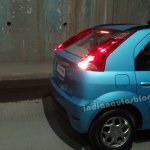 Indian Autos Blog readers know better! 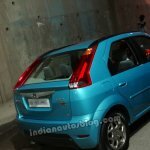 The Indian UV major has released a "sneak peek" of the Verito Vibe which shows the silhouette of the car. 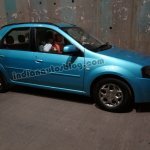 Well its a bit pointless now as regular Indian Autos Blog readers know how exactly the car would look like! 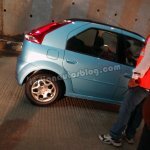 The pictures our reader Vikram sent from the promotional shooting spot in Bengaluru revealed the car completely. The car is now just a couple of days (June 5th) away from its official unveiling to be held in Mumbai. Except the missing section of the boot, the car borrows all other components from the Verito, which means the interior roominess is the same. The sub four metre length gives it a tax benefit of 18%, a major chunk of which is expected to be passed on to the customers. Will the peculiar appearance of the Verito Vibe sink in quickly with India? The same 1.5 litre Renault K9k engine finds its place under the hood. The engine which is known for its lag-less acceleration and excellent mileage develops 65 bhp and is coupled to a 5-speed manual gearbox. 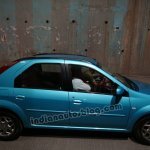 The Mahindra Verito Vibe will compete with other sub four metre cars like the Tata Indigo eCS, Maruti Swift Dzire and Honda Amaze. Given that all its rivals look more like sedans, the Verito Vibe should compensate this deficit with a lower price. Stay tuned to Indian Autos Blog as we bring you all the details from the launch floor.